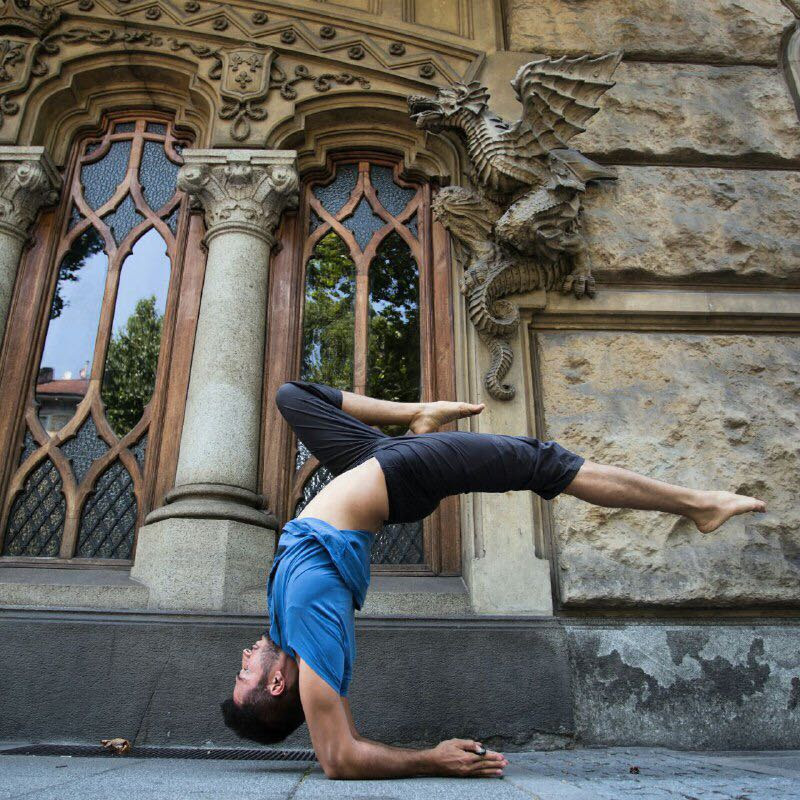 After following his Instagram account for so many years, we finally went to meet Behrang Danesh Eshraghi to understand how Turin and yoga can go hand in hand and when it all started. 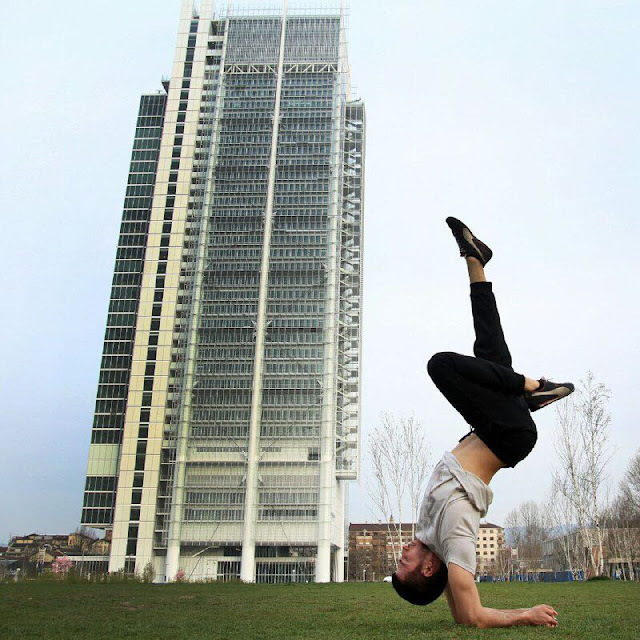 Originally from Teheran, Iran, like many international students, Behrang moved to Turin in 2008 to pursue his studies. 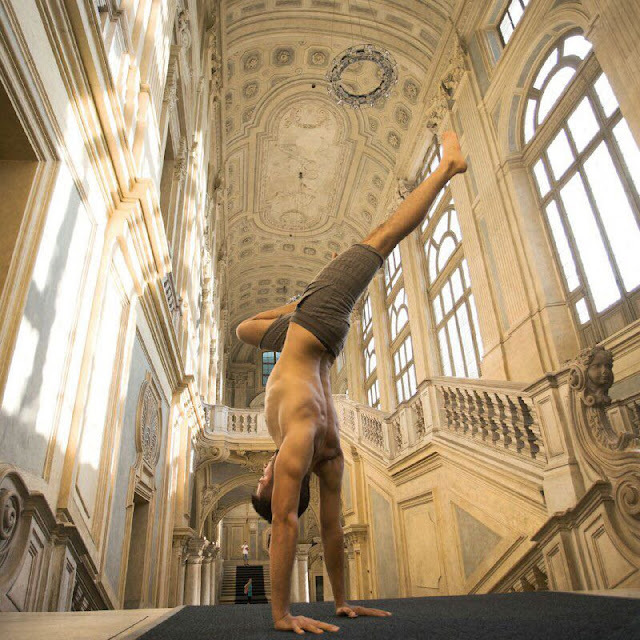 A former swimmer, he started coaching swimming part-time, then worked in different gyms and finally, his private students grew so much he had to open a studio in Via Albergian 20, at a 5 minutes subway ride from the very central area of Piazza Statuto/Porta Susa train station. 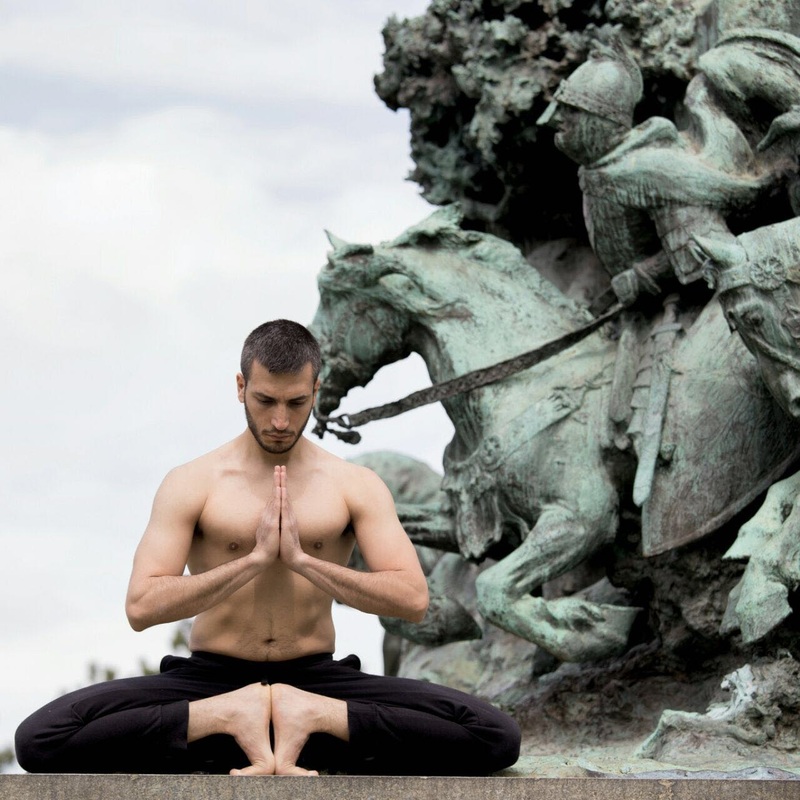 After trying yoga once he got hooked and from then on, he started completing professional certifications every year in as many disciplines as he wishes to practice and teach. At the moment, he has more than 32 and his education is a work in progress. As yoga practitioners, we couldn't help and tested his teaching skills for you: by the time we left his studio we were just blissful 👌. No matter the advanced positions he guided us in and out of, or how he applied his weight to keep us balanced and aligned, by the time we left, our energy was just flowing through our nadis free and happy. No pains, just an overall sense of inner peace, and we walked back home glowing. 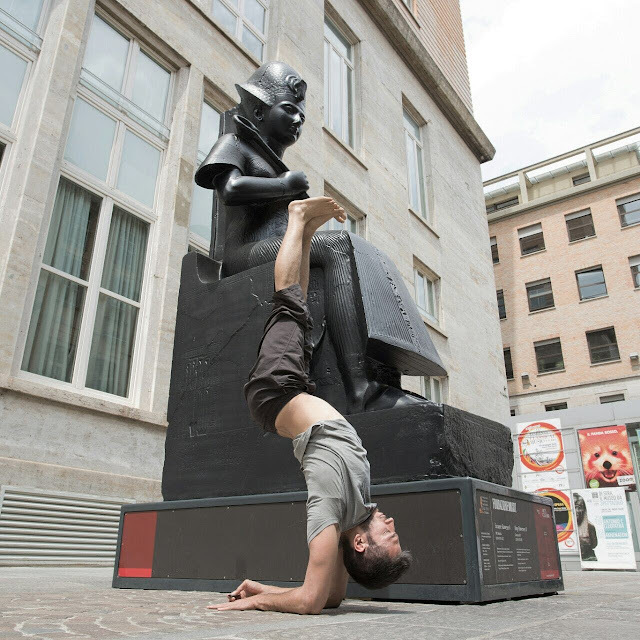 No wonder his students are always happily smiling, and yet those don't even take his yoga classes!! In fact, in town, very few people are aware that Behrang is a real Instagram phenomenon with his almost 40k followers and an average of 165k visualisations a month. So what's his secret? "Everything starts in your belly" he told us. As somebody who has made of his body his own business and promotes an active and healthy lifestyle, it didn't take us by surprise when he added "our belly is our brain because that's where everything starts. To prevent and sometimes, cure some diseases, disorders and conditions, food is always key". Clearly after almost a decade in Turin, Behrang has become a true Turinese! He shops daily, both at his neighborhood market and in the grocery store to stuck up on local, seasonal and organic leafy greens, especially cruciferous aka the whole cabbage family, rich in many vitamins and famous detox and anti-cancer nutrients. Eggs, cheeses, fish, beetroots, potatoes, yogurt, nuts, seeds and sometimes beer and red wine are in his shopping list. Sugars, milk, refined carbs and a lot of meat are not. He closely listens to his body and eats consequently to get all the nutrients he needs; and in order to preserve all the minerals and vitamins, he has his veggies raw. As he's teaching everyday except on Sunday. he has a very structured and busy schedule that starts at 7am with an infusion of fresh leaves and goes on till night. In his little free time, Behrang lives Turin like his mansion, hanging out with friends in the different city's hipster areas where the residents enjoy art events and their social life, like: Vanchiglia (near where the TurinEpi17 cooking class and mindful eating aperitif were), Santa Giulia, San Salvario, in short the beating heart of Turin with many bars and restaurants where you can enjoy both local and ethnic cuisine. No doubt Behrang is a very dedicated professional that explains why many of his followers flock over to have class with him from all over Europe and beyond! A very humble person, empathetic and compassionate teacher, give your body and soul a present before his classes are full. 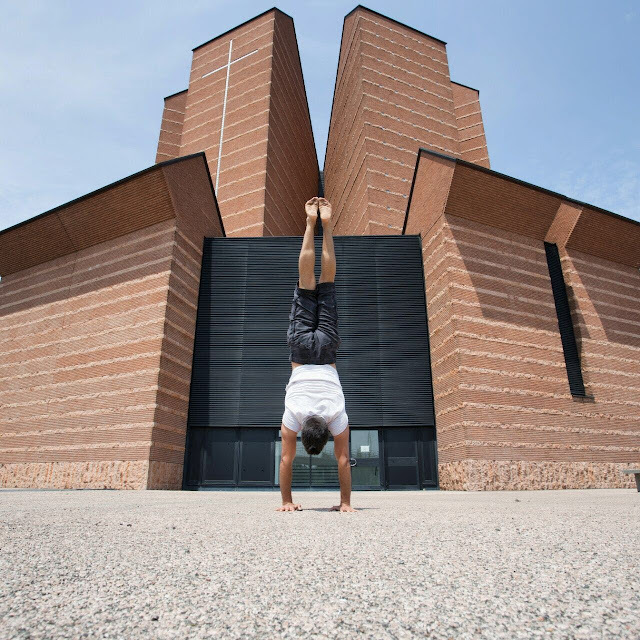 In or out of the water, in Turin's beautiful parks, in his studio, in Turin's train stations or on the street, Behrang will show you the way to your well-being. Berhang makes of Turin a peaceful city and you love it even more!